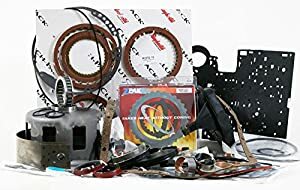 Your Ultimate 4L60e Rebuild Kit Guide You Can Find Online! If you are reading this, then you are either a mechanic or a car enthusiast. Which means you know that the L60 transmission by General Motors was first made public in 1991. It has an electronic version which is computer controlled with numbered 4L60e, and today this is one of the most popular rear-wheel drive transmissions found in the US. This transmission system can be found in many cars, vans, and light pickup trucks; a full list is available at the end of this review. There is not much to write about each one, they are kits with various parts to be used in the assembly of the transmission. This is why the meat of this guide will be under the review section. I also include two links; the first is a video link showing you the steps to rebuilding a 4L60e transmission and the second is a link to the 4L60e manual in PDF format. Both are very useful links for helping you along. Now, let’s get down to business, here are the three best kits for rebuilding a 4L60e transmission. This is a proprietary kit, it is supplied only through World Wide Parts Outlet, and it is useful for all 1997-2003 GM 4L60E transmission rebuilds. It includes the Alto 3-4 Power Pack which they claim increases the stock 3-4 clutch stack with an increased 30% greater holding capacity & durability. Whether that’s true or not is yet to be validated, but when used, the transmission performs admirably. This kit is good for the deep pan units only, so if you have a shallow pan filter or Corvette Pan filter will, this kit will not be the right one for you. 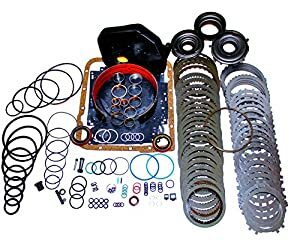 This is the Phoenix transmission 4L60E rebuild kit for GM vehicles dated between 1997-2003 includes a gasket and seal kit, an OE Exedy or Alto friction plate module, the deep pan filter, and the Alto Red Eagle powerband, with their molded piston set. 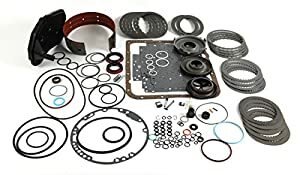 This is also a Phoenix kit, it’s their 4L60E level 2 high-performance rebuild kit for GM vehicles dated 1997-2003, and it comes with a complete gasket and seal kit. The pack also includes the Raybestos Z-Pak with the upgraded 3/4 friction plates and 3/4 steel plates. There is also a Raybestos Stage 1 Friction Plate Module, a 3-pc molded piston set, and a wide high energy carbon band. 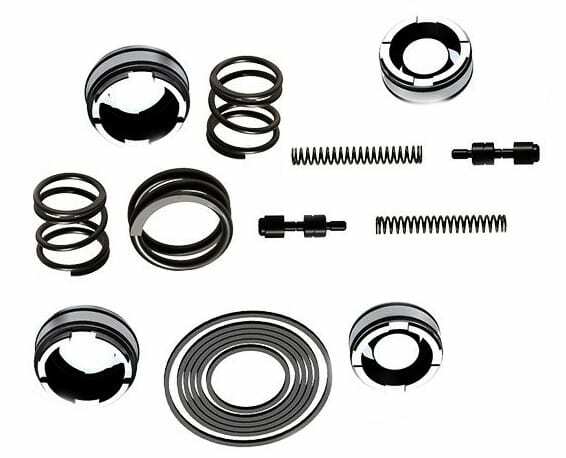 The set also comes with a deep pan filter, a Clevite bushing kit and a duty sprag upgrade with the beast Sun shell heavy duty upgrade. OK, so those are the three kits, now here are the links, which will provide a lot of help before you start stripping the transmission down. Before you begin to rebuild, you need to make sure all your tools are ready, and that you have ample room to place every part. Even if you have some experience in disassembling 4L80E transmission, and they are pretty similar, it is true – still, 4L60E and 4L80E transmissions have small but important differences (seems like Josh at Mechanic Base knows what he writes about). Remember, you need to disassemble first, and after that, reassemble with the new parts. So, it is highly important that you follow the manual and work step-wise. the rest of the servo components. After you have completed these steps, you will need to remove the filter and disconnect the electrical wiring. Now just know that it’s not over yet, you will need to disassemble a further 30 parts, and once disassembled, you need to clean every part. Replace the worn or broken units, and then rebuild the transmission with the new parts. After you complete this stage, you will move onto the pump assembly. This assembly enables you to correct the torque and solve any drain back issues. The usual cause is excessive clearance, in some of the three pump areas. The first area is the pump rotor and pump. You will have to slide this to the top of the pump pocket making this clearance less than 0.003’’. The second area is the torque converter hub to pump. Here you will check the bushing clearance. The third area is the stator support bushing; this leads to the turbine shaft journal clearance. Once you have set all the clearance levels, its time to move onto the input drum. Input Drum: You need to disassemble the input drum, which can be a complicated process, so follow the instructions properly and carefully. Note that the assembly process will take much longer than the disassembly. Reverse Drum: You need to clean this part, and in some cases, you might need to resurface some of the parts. After you have disassembled this unit, you will need to clean all the parts and put it back together again. Case: Before reassembling the case, check for damaged lugs and bolt holes. Once you have completed the above list, you can start to reassemble the valve body. This is not a hard part of the process, and remember that the valves are steel, and the retainer clips are easy to manipulate. You have reached the stage of reassembly. As you can see, the whole process is not really that complicated; it just requires focus and attention to detail. Some might argue that you should leave this stage to the professionals, but if you are into having some experience learning about your car and its parts, there is no better way to experience the car then by really knowing every part in its body, and that means disassembly and reassembly. Perhaps you might consider doing it the first time with an experienced mechanic. However, the second time you have to go it alone. Which cars use the 4L60E Transmission? If you remember, I started out by stating that this transmission is the most popular in the US, and the list of cars I present here is proof of that statement. The 4L60e was designed for longitudinal engine configurations, and this series of automatic transmissions include 4 forward gears. This transmission has been evolving over time, and in 1996, they added a bolt-on bell housing for trucks. In 1998 they added a torque converter that provides higher-capacity internal, a better input shaft and a style pump. Today, the 4L60e series use 2 shift solenoids in order to meet OBD II standards and regulations. The activation and deactivation of these two solenoids, together with the PCM the transmission can achieve four different gear ratios. Here is the full list of models using the 4L60e transmission. Take note that some of them are no longer in production. The non-electronic version of 4L60 was used in many more vehicles.